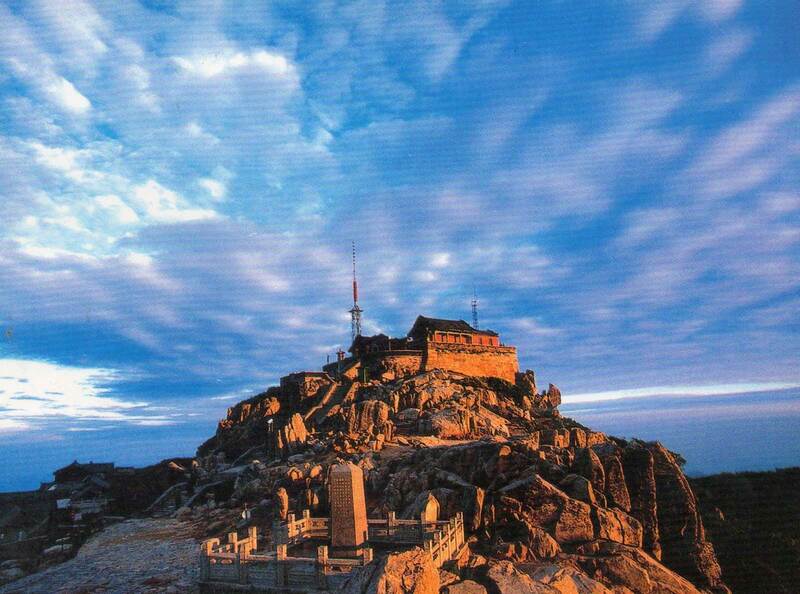 The sacred Mount Taishan is located in central Shandong Province, just north of Tai'an City, Taishan rises abruptly from the vast plain of central Shandong. Geologically, it is the oldest and most important example of the palaeo-metamorphic system representative of the Cambrian period in eastern China. Referred to as the Taishan Complex, it comprises magmatized, metamorphic and sedimentary rock and an intrusive mass of various origins that were formed in the Archaean era 170-200 million years ago. Subsequently, in the Proterozoic era, the Taishan region began to rise, and this uplift continued until the middle of the Cenozoic era. The gneiss that emerged in the Taishan region is the foundation for all of North China. Vegetation covers 80% of the densely wooded area and the flora is diverse, 989 species. Medicinal plants total 462 species include multiflower knotweed, Taishan ginseng, Chinese gromwell, and sealwort, which are renowned throughout the country. There are over 200 species of animal in addition to 122 species of bird. Large-scaled fish are found in running water at 300-800 m.
Taishan has a very rich cultural heritage, and the integration of this with the natural scenery is considered a precious legacy. Cultural relics include memorial objects, architectural complexes, stone sculptures, and archaeological sites of outstanding importance. It is one of the birthplaces Chinese civilizations, evidence of human activity dating back 400,000 years to Yiyuan Man in the Palaeolithic period. By Neolithic times, 5,000-6,000 years ago, it had become a significant cultural centre with two cultures flourishing, the Dawenkou to the north and the Longshan to the south of the mountain. The spring and Autumn Period (770-476 BC) of the Zhou dynasty (1100-221 BC) witnessed the first flare of cultural creativity with the emergence of two rival states, Qi to the north and Lu to the south of the mountain. During the Warring States Period (475-221 BC), the State of Qi built a 500 km long wall as protection from possible invasion by the State of Chu. The ruins of this earliest of the great walls in Chinese history are still evident. 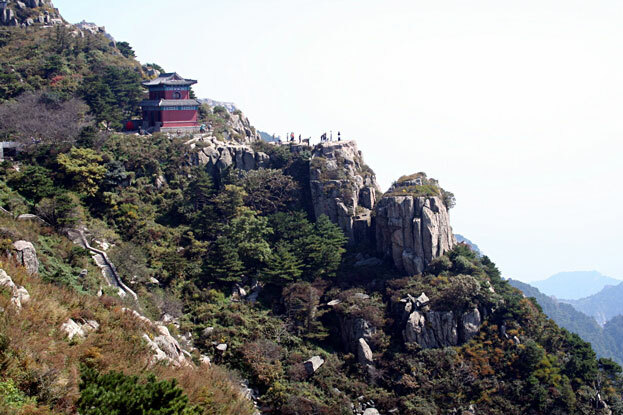 For over 3,000 years, Chinese emperors of various dynasties have made pilgrimages to Taishan for sacrificial and other ceremonial purposes. Rock inscriptions, stone tablets and temples testify to such visits. Renowned scholars, including Confucius whose home town, Qufu, is only 70 km away, have composed poetry and prose and left their calligraphy on the mountain. 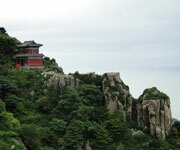 Taishan was also an important centre of religious activity for both Buddhism and Taoism. In 351 BC an eminent monk named Lang, the first to come to the mountain, set up the Lang and Divine Rock temples. During the Northern and Southern dynasties (AD 420-589), the Jade Spring, God's Treasure and Pervading Light temples were built. Prime Minister Li Jiefu of the Tang dynasty (618-907) regarded the Divine Rock Temple as first among China's four temple wonders. Places for Taoist activities included the Temple to the Heavenly Queen Mother, the Palace of Goddess Doumu, the Azure Cloud Temple, the Rear Rock Basin Temple and the Supreme Lord of Heaven Temple. The Temple to the Heavenly Queen Mother, built before the period of the Three Kingdoms (220-80), is the earliest whereas the Azure Cloud Temple is the most influential, its influence extending over more than half of China.